Compared to U.S. adult workers, professional over-the- road truck drivers have a higher rate of heart disease, diabetes, hypertension and obesity. And according to National Institute for Occupational Safety and Health they are the four most and severe health issues facing America’s professional drivers. 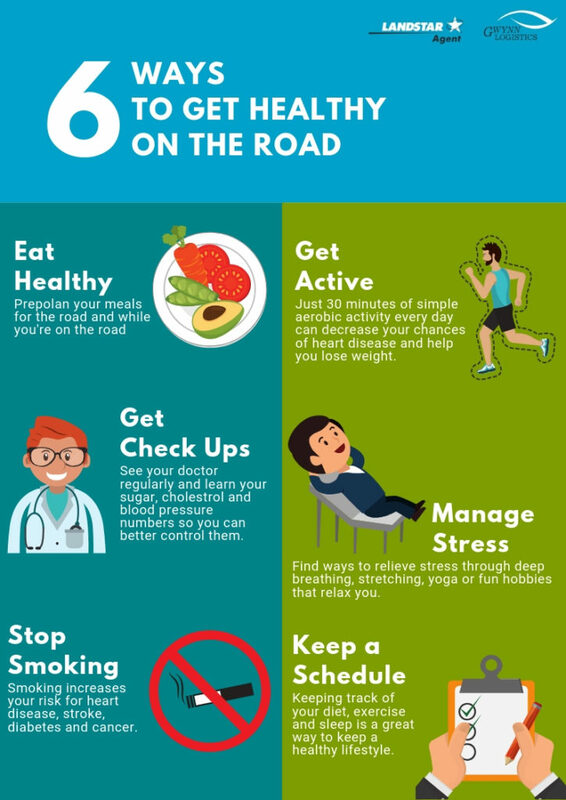 The Centers for Disease Control and Prevention (CDC) notes plenty of reasons why living in a truck can make for an unhealthy lifestyle – irregular schedules, stress, lack of healthy options on the road and limited physical activity, to name a few. How many of these six health tips do you follow?